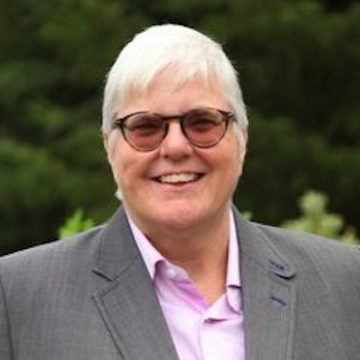 Susan Mooney is a San Francisco based organizational development consultant with more than 25 years experience working with organizations, coalitions, and networks whose missions focus on creating a more equitable and just world. Susan has the ability to connect the dots between vast amounts of information, as a result she is adept at working on complex projects where the path forward is found through persistence, creativity and enjoyment for addressing puzzling situations. Susan has been an Interim Executive Director many times, giving her great empathy for the challenges leaders face in strengthening organizations. She views organizational development as a valuable contribution to social change, by building stronger organizations, networks, and collaborations we also develop more effective strategies, activists and communities. Susan has had the honor of working with small grassroots organizations, medium-sized organizations and large complex networks. At the core of Susan’s work is a deep belief that change is possible, and in fact is happening all around us. Susan has deep experience with groups dealing with growth or leadership changes, those who seek support to assess their work and do planning to ensure continued relevancy and those that are working to fully integrate racial or gender equity into their work. Learning and using IISC tools and frameworks has been a gift, Susan loves sharing the IISC practices through both training and consulting. How I wished I had taken this workshop years ago! Any organization that cares about its success should invest the time and resources in their staff so that they may learn the benefits of Facilitative Leadership®.